The challenges facing the television/video industry today can be daunting. For many years, competition for subscribers revolved around content, while the network architecture remained relatively stable. More recently, Video on Demand, High Definition, Start Over and other time shifted applications have been widely deployed. This has now been joined by the “TV Everywhere” concept and, of course Over The Top (OTT) Television. In addition 3D is today trying to leap from the theatre into the living room. Every year there is something new to contemplate and for which to potentially plan. Over the years, the MPEG Industry Forum has worked aggressively to bring clarity to the industry’s vision of the future and to advocate for the adoption of standards that accelerate that clarity. This year at IBC this task has become more important than ever as new technologies create new opportunities to make (or lose) money. The 2010 MasterClass at IBC is focused around two areas that will bring technologists and leading executives from operators and content owners around the world to discuss these new opportunities and to share their experience and perspectives. Central, Northwestern and Ural Federal Districts share the highest potential to widespread adoption of wireless solutions, according to the analysts. J’son & Partners Consulting believe 3G, HSPA+, Mobile WiMAX and LTE will remain the most popular wireless technologies for the next 10 years. Large Russian end-customers often have to deal with building a telecommunication infrastructure that would help them to manage a significant number of multiple sites. Performance and reliability of networks become the customers' principle requirements in this context. "IP VPN solutions offered by large Russian telecommunications operators seem to be the most secure choice, – says Igor Vasilenko, IT manager for Adidas Russia. – Such solutions insure communication services of the highest reliability and quality." IP VPN solutions become even more relevant when it comes to voice traffic and its prioritisation. Implementation of IP telephony based on this infrastructure enables the customer to combine data and voice transfer channels. Netgem confirmes its participation at this year’s IBC in Amsterdam, where it will showcase its latest technology developments. At the event Netgem will demonstrate the new functionality offered by its hybrid media centre STB range and highlight the new business opportunities offered by upgrades to its home networking functionality. The company will also show the latest enhancements to its NetgemTV middleware platform, including social media integration and a new 3D carousel. Netgem will also highlight how it is helping operators, through recent customer deployments with Telstra and Monaco Telecom, to use OTT services to supplement their existing broadcast content in a cost effective and scalable way. The company will outline how pay-TV players can position themselves at the centre of the connected home by providing consumers with value-added services, such as home networking and next generation interactivity, that will reduce churn for the long term. IMS Research has confirmed its participation in the 3rd All-over-IP Forum that takes place on November 18, 2010 in Sokolniki Expo (Moscow, Russia). In June 2010, William Rhodes, IMS Research Analyst; undertook research into the market for CCTV and Video Surveillance Equipment within East Europe and Russia. TVover.net and Terrapinn Australia are giving away 1 free pass to the Australasian Broadcasting & Media Congress 2010, July 20-22 in the Swissotel Sydney, Sydney, Australia. Enter to win by emailing us at media@tvover.net with name, email, company, address and phone number by July 12, 2010. The winner will be randomly drawn. Now in its 5th annual year, the Australasian Media & Broadcasting Congress is designed to shape strategic discussion around the challenges facing media executives as they adapt to a changing technological environment and new competitive pressures. Some of the issues that will be covered include strategies for growth in the digital age, business models and revenue streams, creating, distributing and monetising content, consumer engagement and advertising, technology and digital media and media financing and investment. Online video distribution to the PC is predominantly an open platform: if you can launch a web site, you can distribute your content. But the distribution picture to the TV is quite different. Here, closed platforms provide a fixed set of content from which users can pick. For an Internet content provider to deliver video to the TV, a deal is required with the platform provider first. In 2008, Sir Howard Stringer, Sony's CEO, said "Sony's unique position in electronics and entertainment will enable us to provide specialized offering for Sony customers directly to their television outside conventional distributors..." Can companies such as Sony, Apple and Microsoft control the delivery of Internet video to the television? Or can open solutions such as Google TV win out? Endavo Media and Conklin-Intracom are teaming up to demo a hybrid IPTV/OTT video delivery solution that integrates Endavo’s OTT Video Services Platform with Conklin’s (fs/cdn) IPTV delivery solution. By adding Endavo to the Conklin ecosystem, service providers will be able to offer their subscribers the best of IPTV programming and services, as well as access to OTT video content distributed from Endavo’s Media Management System. This integrated IPTV/OTT delivery system demo will not only validate the availability of OTT content, such as local or international niche content, via the Conklin IPTV system for TV delivery, but also show the ability to distribute content to PCs, mobile phones and other devices in a completely managed environment. Endavo Media's President and CEO Paul D Hamm will be a featured speaker at OTTcon East, Atlanta, June 16 – 17. Hamm will present “Telcos: Commoditized Pipe, Or Driving Force for Planet-Wide Syndication of OTT Video?” on Thursday, June 17 at 11:15 a.m. in the Rivera Ballroom of the Atlanta Capitol Conference Center Holiday Inn Select. "We all know the world of video is changing, and that content is being consumed everywhere through TV, PC and mobile devices," Hamm said. "I’ll be discussing how the ever-shifting media-consumption habits of consumers and the convergence of TV, online video and social media are creating exciting new business opportunities for telcos, broadcasters and content producers." Netgem will present its comprehensive vision of the future of IP-delivered services at next month’s CommunicAsia2010 show in Singapore. Addressing the needs of both incumbent Telcos and alternative operators running bandwidth-constrained or unmanaged IP networks, Netgem’s intelligent and award-winning middleware, NetgemTV and Netbox collection, combine the best of broadcast and broadband technologies into one, seamless TV experience. The leaders of Australia’s largest media companies will share their business objectives and growth strategies for the coming year at the 5th annual Australasian Media & Broadcasting Congress at the Swissotel in Sydney. International keynote presenter Nicholas Wodtke, Vice President, Business Strategy & Development for Disney will open the conference with a presentation on Network TV’s changing business model and its response to the disruption brought about by new technologies. West Australian Newspaper Holdings CEO Chris Wharton, News Magazines CEO Sandra Hook and Mark Hollands, CEO of the Newspaper Publishers’ Association, will represent the print media with a discussion of new revenue streams and the role of the Internet in shaping future business models. 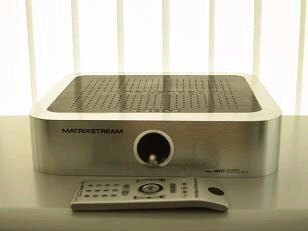 MatrixStream will demonstrate its robust 1080p, 3G & 3D capable, end-to-end, turnkey IPTV platform at CeBIT Australia 2010. While the majority of IPTV service providers rely on high bandwidth multicast private IP networks, MatrixStream is able to offer a strategic advantage to its clients through MatrixCast technology that streams high quality live tv and video on demand content over long distances (e.g., from Sydney to Perth from just a single headend point) with a fraction of the bandwidth previously required. These advances will have a profound effect on the future of IP video services in Australia and the APAC region as MatrixStream enables clients the ability to deploy highly sought services to millions of IPTV users within as little as sixty days. MatrixStream will likely become a formidable force in the not so distant future as it continues to partner with ISPs and telcos to reach subscribers throughout Sydney and beyond. 3D TV content and hardware represents a significant opportunity for retailers to improve their revenues and margins. With 3D content availability expected to grow rapidly from this summer, a growing number of consumers will be looking to replace their existing TVs, DVD players, packaged media and cameras with 3D enabled replacements. Given that 3D TV, Blu-ray players, cameras and movie and game titles are all expected to sell for a premium over 2D versions and each viewer’s eyes will need 3D active shutter glasses, which currently sell for $150-$200 pair, the opportunity is significant. How retailers execute on this opportunity will be critical. In addition, connected TVs also represent a significant opportunity for retailers as they provide another path for retailers to get into the home by getting placed onto the TV GUI allowing for easy viewing of weekly promotions, facilitating the scheduling of appointments and more.